At 92.5 the River, we’re locally-owned and locally-operated, and we’re always committed to encouraging our listeners to support our fellow local businesses. This holiday season, please join us as we celebrate the season by shopping locally-owned and independent merchants. Let’s Shop Local and make it a Homegrown Holiday! Here are some great local businesses that we’d like you to consider. And don’t forget to tell them you heard ’em on the River! Dave Galeucia and Todd Atkinson took the reins at Buchika’s in 2007, running the store with the same passion and commitment that George Buchika displayed in 1963. Stocking top-quality brands like Specialized and Cannondale bicycles, and ski equipment from recognized manufacturers such as Volkl, Salomon and Atomic. Buchika’s continues to be run by sports enthusiasts proudly assisting anyone who appreciates the thrill and excitement of the open trail or the open road. Since 2005, Burtons Grill & Bar has had a simple goal: “Delight every Guest” one at a time. Consistency, integrity and passion guide us. Whether it’s our traditional fare you’ve come to love; or our chef-driven, innovative local preparations; or custom offerings to meet your dietary needs, we promise to keep you coming back for more. Our focus is on providing guests an array of high quality food and beverages, served by friendly knowledgeable staff. This holiday season, visit the region’s number one source for seasonal flowers, plants and outdoor decor at Currans Flowers. Located in Danvers and open seven days, Currans receives farm direct flowers daily and offers delivery of their handmade gifts. River listeners can enjoy exclusive savings at CurransFlowers.com/the-River. No time to bake that famous cake? Visit Dianne’s Fine Desserts (formerly Alden Merrill) in Newburyport! Everything’s easy to serve and has that delicious homemade taste. Relax this holiday season and let them handle dessert — from pecan pie and Plum Island cheesecake to classic carrot and chocolate cakes. Dianne’s Fine Desserts on Graf Rd. in Newburyport! FatFace is proud to bring high quality, ethically sourced, iconic British fashion, and 30 years of experience to the us. Made for the whole family; FatFace is ready to help make the holidays magical!! With beautiful hand drawn prints, the softest cashmere sweaters, and coziest pajamas here to make this holiday season the best. Find FatFace in Wellesley, Lynnfield, and Newburyport MA, and Portsmouth NH. FatFace – the best British brand you’ve never heard of! Give the gift of pure liquid gold this holiday season! Fuller’s Sugarhouse pure maple products are made in the northern White Mountains of New Hampshire. From syrups and candy to gift baskets and boxes, find a sweet gift for everyone on your list. Use promo code RIVER for 10% off Fuller’s maple products. To place an order, visit fullerssugarhouse.com, call 877-788-2719 or stop by Fuller’s Sugarhouse Country Store at 267 Main St, Lancaster, NH. IncrediBREW, in Nashua, NH, is the oldest brew-on-premise brewery in the nation. Our customers use proven recipes, fresh ingredients, professional brewing equipment and our expertise to brew world-class craft beer and make award-winning wine, hands-on, at our store — with no experience necessary! We walk you through every step from recipe selection to bottling to labeling. Choose from over 200 craft beer and 30 different wine varietals and brew-it-yourself! Jonathan’s Jewelers features a large in-store collection of beautiful gifts in Platinum, Palladium, Gold, and Silver – all on sale NOW for 20% off! Plus, Spend $500 or more on any purchase and receive two lift tickets (while supplies last) to ski Bretton Woods – Named #1 & #2 in the East for snow and grooming the last 5 years by SKI Magazine! Jonathan’s Jewelers – providing trusted service and quality custom jewelry for over 30 years in Bedford, NH. Joyful Harvest Market at 4 Elm Street in Salisbury, MA is full of organic and local goodies. From fresh produce and grains and organic baby and toddler food to yummy desserts and beautiful artwork and gifts for loved ones, Joyful Harvest Market is a must-visit this holiday season. Light up her holidays with a handcrafted design from Kaya Jewelers! We are a family of artists and metalsmiths with a passion for fine jewelry and gemstones. From wedding bands, and dazzling diamonds engagement rings to colorful gemstone jewelry creations, Kaya’s friendly, personalized service will help you check off all your shopping needs while making it a holiday she will never forget. Each specially designed Kaya piece is signature wrapped with a smile. Buy handmade gifts for everyone on your list at the League of NH Craftsmen Fine Craft Galleries. Shop for creative, functional fine craft in all price ranges: exquisite jewelry, colorful pottery, blown glass, wearable art, home décor, and more. Locations throughout New Hampshire: Concord, Hanover, Hooksett, Littleton, Meredith, Nashua, North Conway and Center Sandwich (May-Oct). LunaChics is a totally unique boutique shopping experience, offering a huge selection of jeans for all sizes, styles and prices. You’ll find brands such as AG, Citizens, Paige, NYDJ and more. In addition to denim, LunaChics has a great selection of contemporary clothing, accessories and gifts. And you’ll love their couch, big screen TV and toys, so bring along the family. There is something for everyone at Luna Chics in downtown Exeter. 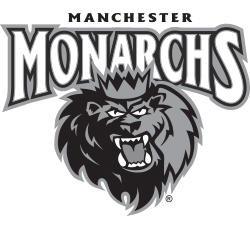 The Manchester Monarchs, an ECHL affiliate of the National Hockey League’s Los Angeles Kings, invite you to enjoy a night with family, friends & co-workers to watch great hockey. PLUS thanks to Outback Steakhouse you will receive four $10 gift cards via this Special RIVER Holiday Offer. 16 people will sit in a suite for just $400 – Regularly $720. Call 603-626-PUCK or visit ManchesterMonarchs.com/River to book your suite today! Mill 77 Trading Company is a one-of-a-kind vintage shopping experience. Their dynamic, 15,000 square foot location in Newburyport combines a custom-build workshop space, classroom spaces, and a multi-dealer showroom where you will find a variety of unique items, antiques, collectibles, furniture, home décor, and consignments. New merchandise arrives daily. Mill 77 Trading Company also offers services to assist with estate and moving sale needs, home staging and interior design. You won’t want to miss the New Hampshire Food Bank’s Steel Chef Challenge featuring Food Network celebrity chef, Alex Guarnaschelli, hosting a local chef competition. The Armory Ballroom, Doubletree by Hilton Manchester will be turned into a grand dining room. You will watch live as the chef competition heats up, and enjoy a fabulous dinner created by Chef Guarnaschelli. This is an exciting evening to support a worthy cause! Orzo Trattoria is a North Andover jewel. It has the roomy seating area, casual atmosphere, friendly service, open kitchen and moderately priced menu that make it the perfect place for everyone in the family. Diners will enjoy fresh pasta, delicious Italian entrees and chef specials. Orzo offers private parties, offsite catering and a full takeout menu. Visit Orzo at 1085 Osgood Street, North Andover. Looking to spice up your holiday season? Pamplemousse has everything you need to make your holiday season special; whether it’s select wines and craft beers from around the world or gourmet foods and kitchenware Too many choices to decide? Gift cards and wine club memberships make terrific holiday ideas as well. Located conveniently in Salem and Reading. Online at pmousse.com. The Peddler’s Daughter, with locations in Haverhill & Nashua, offers an authentic taste of Ireland all year-round. The Peddler’s Daughter is not only a great place to get a refreshing pint, a bite to eat, it’s also a place where friends are made and good times are enjoyed, so stop by for some good Irish hospitality and make yourself at home. Slainte. Since 1786 our quaint little red cottage has graced the hills of southern New Hampshire, seemingly untouched by time. The enchanting cottage was chosen by Elizabeth Orton Jones as the model for her illustrations in Little Red Riding Hood (Little Golden Books, 1948). Today it is a mecca for gardeners, foodies and anyone looking for inspiration and relaxation. You will still find our hilltop hideaway at the end of the winding dirt road. A perfect place for all of your holiday shopping and a wonderful experience. Have a Pickity Holiday! The Plum Island Soap Co. Plum Island Soap Company offers a line of over 150 all natural bath and skincare products made daily in their little cottage. Open daily 11-4, 7 days a week with clever gift ideas as well as custom and made to order. Perfect for everyone on your holiday shopping list – including teacher, hostess, baby and the guys. Celebrating 20 years in business, Plum Island Soap is a local favorite. This holiday season give your cocktails and your friends the spirits they deserve. Give them Rumson’s Rum. Fine barrel-aged Carribbean Rum finished locally in Salem. Go to rumsons.com to find the perfect bottle in a store near you. Make memorable stories just a little merrier with Rumson’s Rum. Rumson’s Rum — Smooth. Sweet. Memorable. As one of the largest independent pet specialty retailers, State Line provides the lowest prices on pet supplies, accessories and food for your dog, cat, bird, fish and more. The website is always showing sale items, and gift cards can be purchased in store or through the site. Plus you get free shipping on orders of $75 or more, though some exclusions apply. Best discounts plus best selection = a lotta love for your pet! The Loading Dock Galley offers wonderful fine arts and crafts hand-made by local artists! Throughout December, “Winter Lights: Gifts for the Holidays” features a wide range of unique gifts for everyone on your list. You’ll find paintings and prints, jewelry, pottery, scented soaps, cards, photography, sculpture, textiles, fashion accessories, decorative glass, fine furniture and more. The Gallery will be open daily at 10:00 am with extended hours through December 31st. Closed Dec 25th and 26th. Wolf Hill is the perfect first stop this holiday season! We are already full with Christmas trees, wreaths, greens, and decor and have everything you need to fill your home with holiday cheer. Choose from our pre-decorated wreaths, swags, and centerpieces, or let us create something custom for you! Need a quick host gift for family gatherings? Pop in for a poinsettia, potted amaryllis, or special ornament. Family owned and operated with three convenient locations!